Our Church belongs to the Romanian Orthodox Episcopate of America, which is a diocese of the Orthodox Church in America, an autocephalous (self ruling) church lead by His Beatitude, Metropolitan Tikhon. 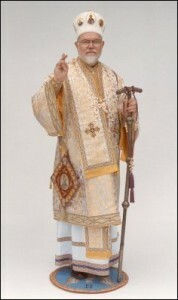 Romanian Orthodox Episcopate of America. The headquarters of our episcopate are in Grass Lake Michigan, USA.